The Line Series plot (row wise line+symbol plot) has been redone in Origin 2017 and is based on box plot. 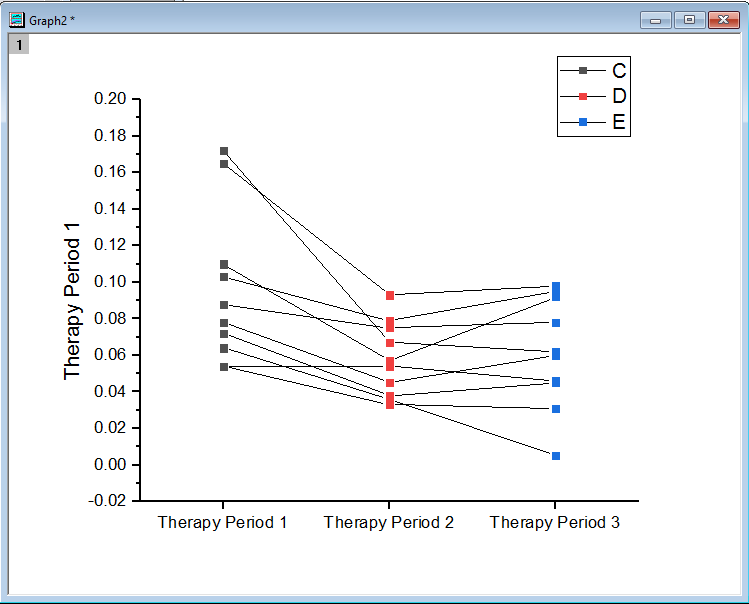 No hidden sheet is created therefore changing raw data will update the graph. 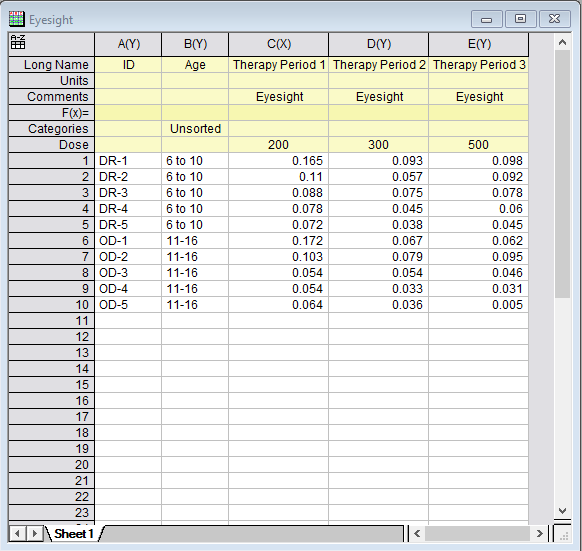 Indexing line/symbol colors by data in another column from the raw datasheet. Set symbol position by numeric values in column label row. Please download the attached opj to see how to plot row wise data as line series and customize it. 2. 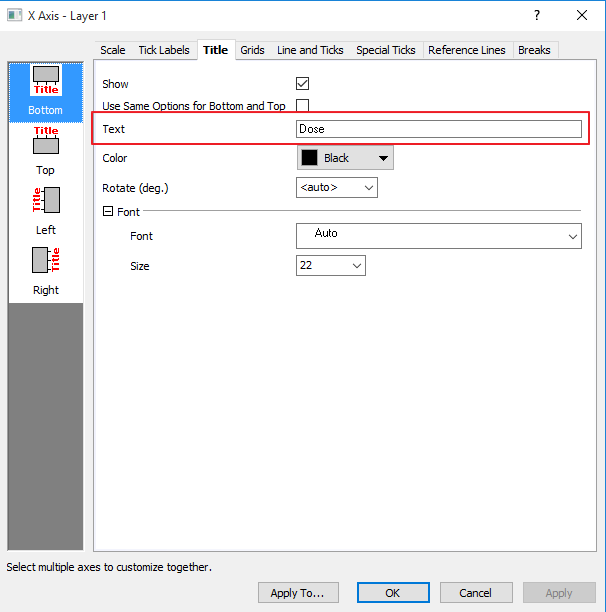 Double click the plot to open up Plot Details dialog. 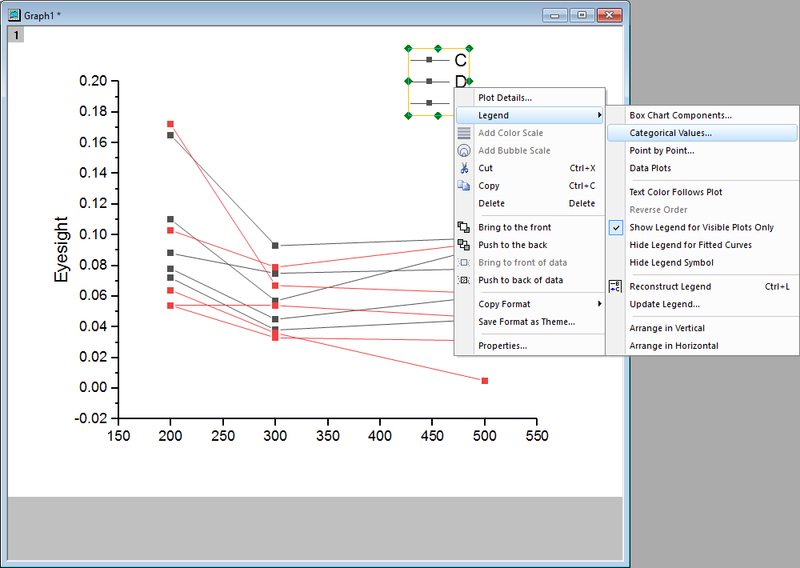 With the first plot selected in the left panel, go to Connect Lines tab. 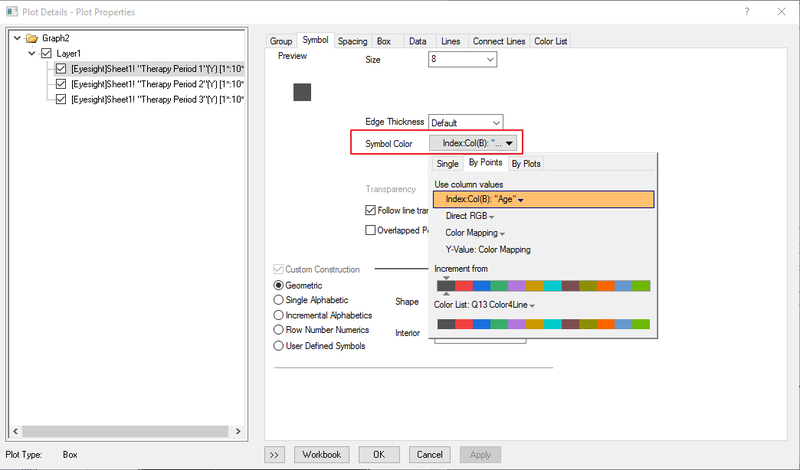 With Connect Data Points node checked, select Index Col(B) in the dropdown of Color. 3. 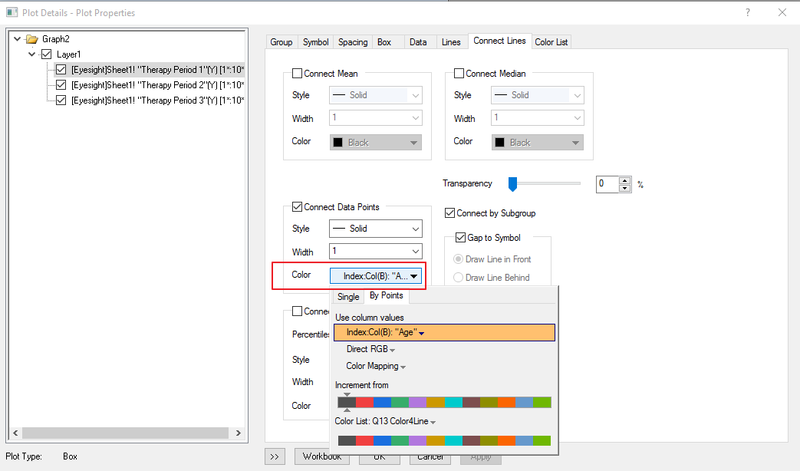 Select Symbol tab, set the Symbol Color to index to col(B) as well. 4. Go to Box tab, Set X Position to Dose. 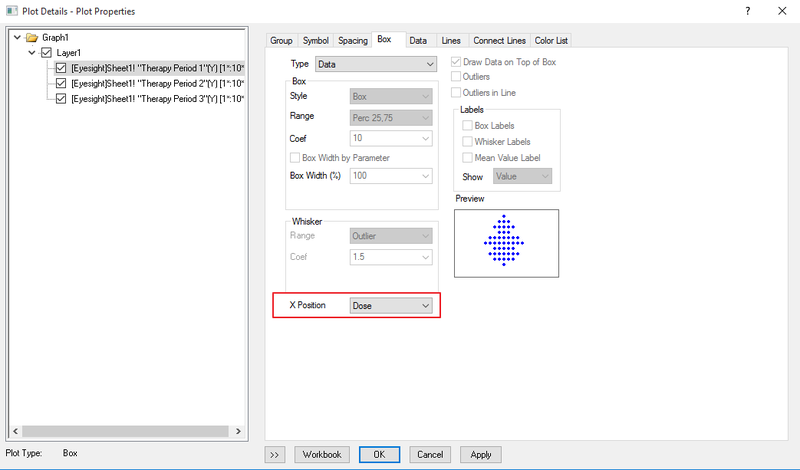 Note: This setting allows using numeric values in column label to as x position of each dots series. Click OK.
5. Now we are going to update the legend to better show the coloring information. 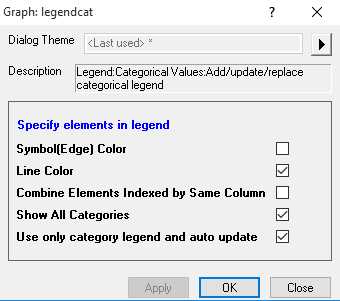 Right click the legend and select Legend: Categorical Values… . In the popup dialog, check boxes as shown below and click OK.
6. 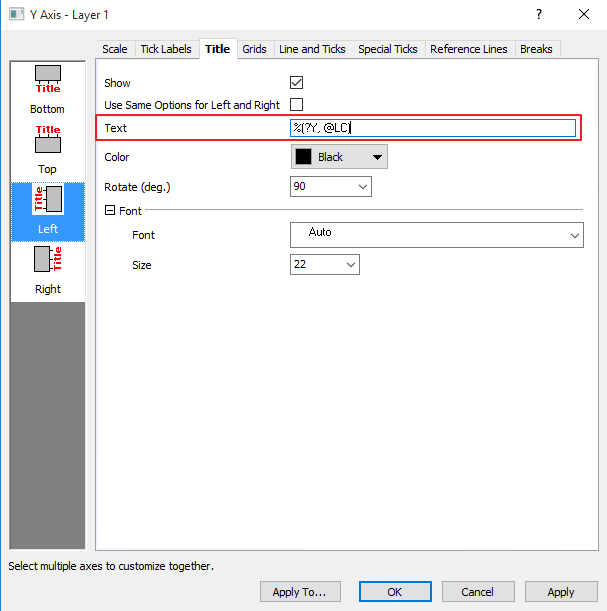 Double click Y axis label, change Text to %(?Y,@LC). This is to show Y axis label using column Comments. 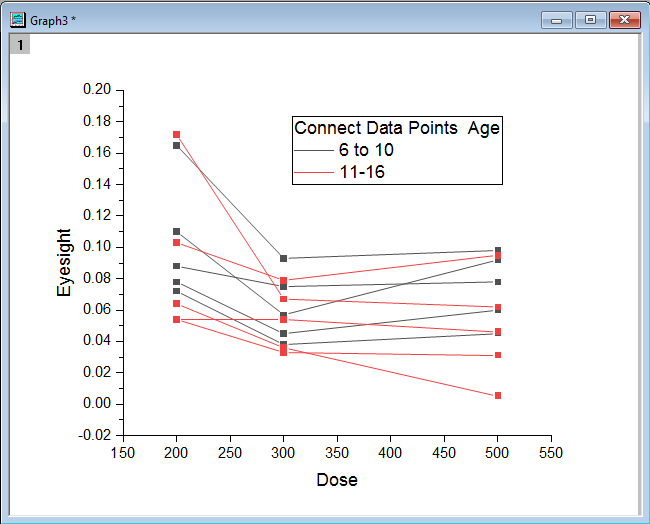 Go to X axis label and enter text Dose. Click OK.